Meet Tarzan! He’s not at all what you might think - a wild jungle man as the story goes, but as you can see he’s anything but that! Tarzan is calm, cool, and collected, and readily greets everyone with affection. He appears to be an older gentleman, and could have possibly been abused by the condition he was in when he arrived. This has not seemed to have affected him with people however, and he wants nothing more than to be at someone’s side and receive human contact and attention. Tarzan followed some of our volunteers back to our shelter after they were out on a stroll, and he hasn’t wanted to leave ever since. We feel he must not have been treated so well wherever he was living as to want to live at our shelter with our other 180+ dogs! 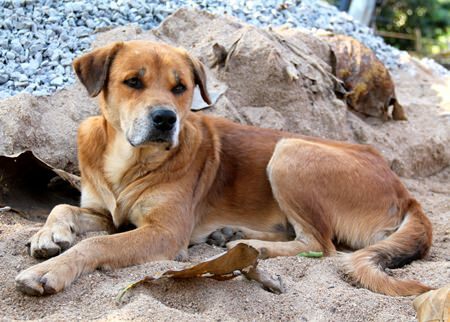 Could you give Tarzan the love and kindness he’s so longing for? For more information, please email inquiries to [email protected] or call 084 752 5255. Pipo is a sheer delight! Nancy; A True Garden Flower! Tarzan is one cool guy!